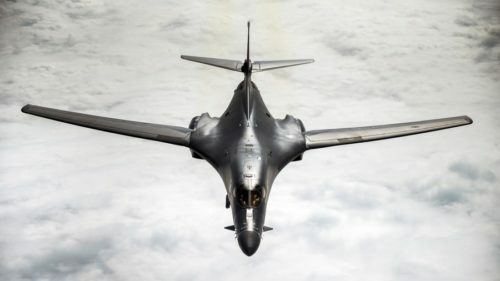 The defense ministry earlier warned that the US, UK, and France are preparing to use the planned attack as a pretext for airstrikes against Syria. The USS The Sullivans, an Arleigh Burke-class Aegis guided missile destroyer, was already deployed to the Persian Gulf a couple of days ago. Russian Deputy Foreign Minister Sergey Ryabkov earlier warned that the US is not finished looking for pretexts for regime change in Damascus. 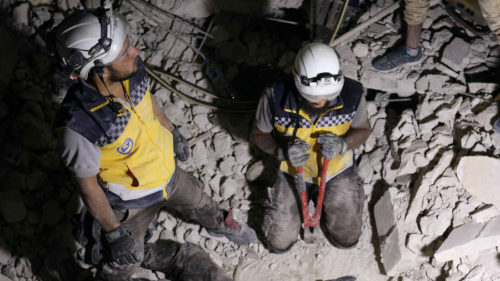 In April, the US, UK, and France unleashed a bombing campaign on Syria in response to an alleged gas attack in Douma, which the West blamed on Bashar Assad’s government. The operation started hours before a team from the Organization for the Prohibition of Chemical Weapons (OPCW) was due to reach the city. This article was posted on Sunday, August 26th, 2018 at 3:57pm and is filed under "Regime Change", "The West", Donald Trump, Espionage/"Intelligence", False Flag, France, John Bolton, President Bashar al-Assad, Syria, United Kingdom, United States, US Hypocrisy, US Lies, US Terrorism, War Crimes.